Begun the Clone Wars have! 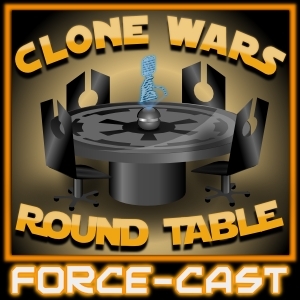 In this episode of The Clone Wars Roundtable, panelists Jason Swank, Jimmy Mac, Fanboys Director Kyle Newman, and Mark Minckiewicz of Force-Cast TV review and discuss the first three episodes of The Clone Wars: Ambush, Rising Malevolence, and Shadow of Malevolence. Zune users can listen into the show right here. BE PART OF THE ACTION WEDNESDAYS AT 8:00 P.M. EST ONLY ON THEFORCE.NET. Get up to the minute updates on live shows, breaking news, and all things Force-Cast.